We’ve all heard the horror stories, and any landlord who has been in the housing rental business for a while has likely experienced a nightmare tenant. Accidentally renting to a bad tenant can cause headaches and can leave you with a significant bill for clean-up and repairs. Learn provincial guidelines. Provinces have different rules when it comes to rentals, so make sure you are familiar with yours. Not sure if you can request a security deposit? Check with your provincial rental authority. Screen potential tenants. To avoid being stuck with noisy tenants who damage your property and stop paying rent, conduct the proper credit checks and to ask for references from current and past employers and landlords. Get the right insurance. Most policies can protect your property from major damage. But what if your tenant falls on the staircase and sues you for injury? Premises liability insurance will protect you against such claims and cover your legal expenses if you are not found to be negligent. Record property condition. Walk through the space with your tenant at the beginning and at the end of their lease to record existing damage. Along with protecting yourself should new damage occur, this step will make it easier if you need to involve your provincial rental authority in case of a problem. Ask your tenant for a lease guarantee. This is a new way to protect yourself from many renting risks, reimbursing you quickly in case of a rent payment default or property damage. A lease guarantee from Locnest can pay up to $5,000 in case of default or property damage. It also assesses prospective tenants through credit checks and eliminates tasks associated with holding security deposits, such as paying interest, saving you time and money. 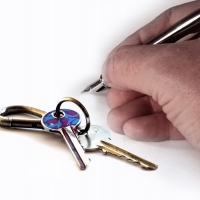 Lease guarantees can replace security deposits in provinces where they are legal. Where security deposits are prohibited, a lease guarantee can act as a guarantor or co-signer. Find more information and a free downloadable condition of premises form at locnest.com.